Flush toilets are something many of us take for granted. When was the last time you saw a two bedroom house without a flush toilet in it? When we visit a burger joint or a gas station, anything less than a flush toilet would be shocking. Flush toilets are so clearly superior and so vastly preferred by the public, that anything else where water and sewage connections exist would be insanity. Wherever a long term restroom fixture is built, there would only be one viable reason for it not to be of the flushing variety. Connections. 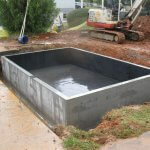 If a water line and sewer line are available, then building a flush restroom is almost always the best option. However, many places do not have access to those pipelines, and without them a typical flush restroom is impossible. Campsites, golf courses, parks, and remote areas are examples of places where alternative restroom options are the only options that are viable. The alternative to the flush restroom goes by a few names, but I’d generalize them into a broader category: “waterless restrooms.” These restrooms are designed in a fundamentally different way from a typical flush restroom in that they find ways to compensate for a lack of water source, which would normally be used to transport the waste materials to an unseen place. Because there is no access to water, human waste typically falls straight into a holding tank which is conspicuous to both the sense of sight and smell for users. The most common form of waterless toilet is the classic porta-potty, commonly seen at construction sites or as a temporary bathroom service for major urban area events. Because porta-potties are low cost, they are often seen on the far reaches of golf-courses and commonly serve as the restroom of choice for some of the more remote campgrounds and trails. 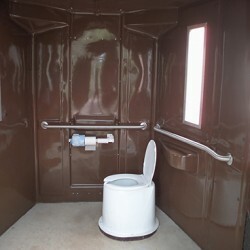 When more money is available, a better, more permanent version of the porta-potty is a vault toilet building, which can be purchased whole from modular manufacturing companies. Vault toilet buildings are very common sightings at campgrounds and trail heads. Most vault toilets are straightforward holding tanks similar to a nicer, permanent porta-potty, though there are a couple of variants among vaults: composting and evaporative. Evaporative uses an air flow system to naturally dismiss excess moisture, meaning tanks take longer to fill. Composting toilets add a supplemental, absorbing material like sawdust to inject oxygen into an otherwise oxygen free environment. This allows the natural process of decay to occur, turning the waste into a gaseous form (carbon dioxide) that floats away. In theory, composting toilets should never need to be pumped, but that’s only true in perfect conditions and even composting toilets need maintenance every now and then. You can put a waterless restroom just about anywhere; they don’t require sewer and water connections. They don’t require payment for water services. They are operational year round without heat. There are no pipes to freeze. They tend to be less expensive to build. Some of them are portable and make for a useful temporary restroom solution. Flush restrooms typically have sinks with running water for hand washing (waterless restrooms do not). Flush restrooms are more sanitary and do not expose the senses to a pit of human waste. Less need for intensive maintenance (there’s no vault to empty out every month). In general they are cleaner and more pleasing to the senses. Flush restrooms feel civilized, waterless restrooms feel spartan. This is where our company, Green Flush Technologies, enters this discussion. We offer flush restrooms that can go anywhere, even places without water and sewer connections, while still providing flush toilet restrooms and running water sinks. All while having the feel of a real bathroom, minus the “roughing it” aspect of waterless toilets. With our restrooms, flush toilets will be available in places where they weren’t before. If you’d like to learn the details about our product, you can read an explanation, or watch a virtual tour of our restroom. 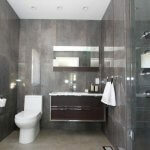 Where flush restrooms are a practical solution, we expect that most people would simply build a flush restroom building. 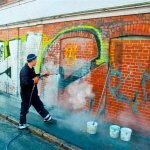 In some situations, having a waterless restroom is the most practical solution as well (for example, porta-potties at a temporary location like a construction site). For everything else where water and sewer lines are not available: parks, golf-courses, trail heads, and remote locations that have a lot of human interaction, Green Flush technologies finally offers the chance to provide flush restroom service where it previously had not been possible.